In Paris, we organized a brunch for Rachel Rom’s exhibition that you might have already read about in Art, Champagne & Canapés. Lydie and I went to the Palais de Tokyo to visit Anywhere, Anywhere Our of the World that I highly recommend. You can find my review here. The all experience became quite decadent when we made a stop at Monsieur Bleu for a Spicy Ginger. After a trouble free trip from Paris to London, I arrived to the gallery and read with delight Sarah Peguine’s article about Rachel Rom’s exhibition in Artsetters newly launched La Clique Magazine. I highly recommend it and for those who have not had a chance to experience the exhibition, the photographs will be a great way to discover it. When a brilliant and acclaimed exhibition comes to an end it also means that we are getting geared up for the next one. 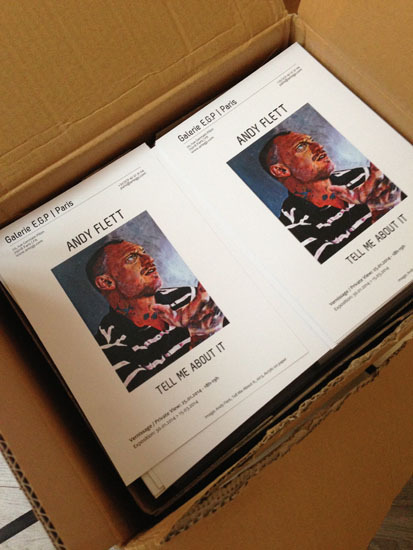 Andy Flett‘s first solo exhibition at Galerie E.G.P will open on January 25th, 2014 in Paris and we have just received the invitations. They will be coming out soon. In any event, save the date! We are trying to wrap things up, get everything in order before the end of the week that is going to be the start of our annual leave. It seems however that we are not the only ones having had this idea. So while we are drafting endless to-do-lists and bombarding everyone with e-mails and reminders we are in turn bombardes with…well the same. 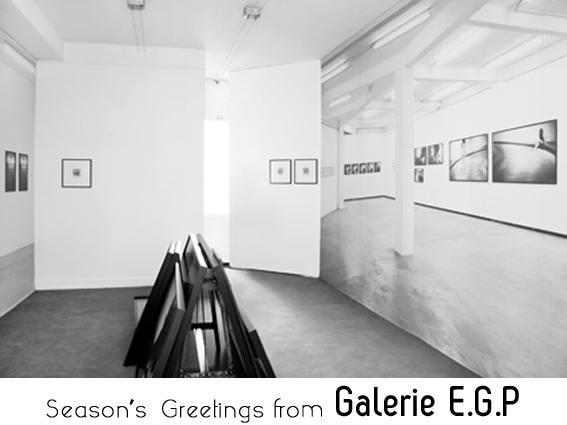 It is the last day of Rachel Rom’s solo exhibition at Galerie E.G.P and the start of our annual leave before seeing everybody again in 2014 for more art and events.